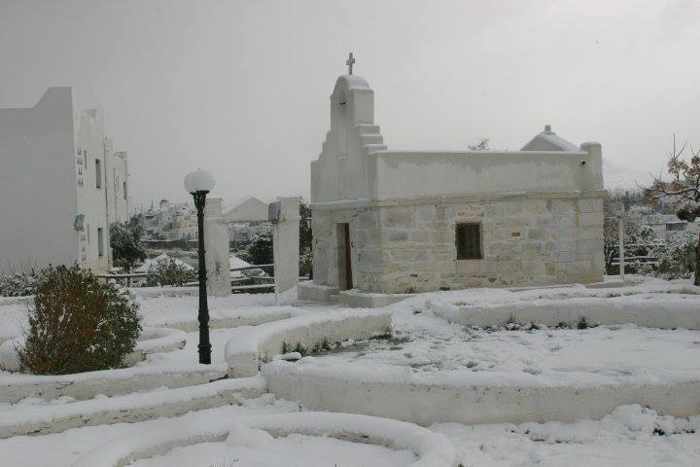 Snow blankets the ground beside a chapel in Lefkes village on Paros following light flurries on December 31 2015. Μαρία Ραγκούση shared this image on the Lefkes Paros public group page on Facebook. From green to white: Every day this month, I’ve been feeling green with envy seeing social media posts showing sunny skies and gorgeous summer-like scenery in Greece. Only three days ago, in fact, I was jealously admiring beach and seashore photos from the Athens Riviera that a friend had taken during balmy 18 degree Celsius temperatures. But when I logged onto my blog’s Facebook newsfeed first thing this morning, I was stunned to see pictures and read reports about light snow falling at various places on the Greek mainland, in Athens, and on such islands as Amorgos, Crete, Mykonos, Naxos, Paros, Santorini and Skiathos. Snowflurries aren’t unheard-of either on the mainland, in Athens, or on many of the Greek islands. Severe winter weather conditions including snow and sleet can and do strike virtually all parts of the country from time to time. But it is perhaps fitting that what has been an extremely turbulent year for Greece seems to be ending just the way it began — with dark, brooding stormclouds bringing cold temperatures and light snow to many parts of the nation. 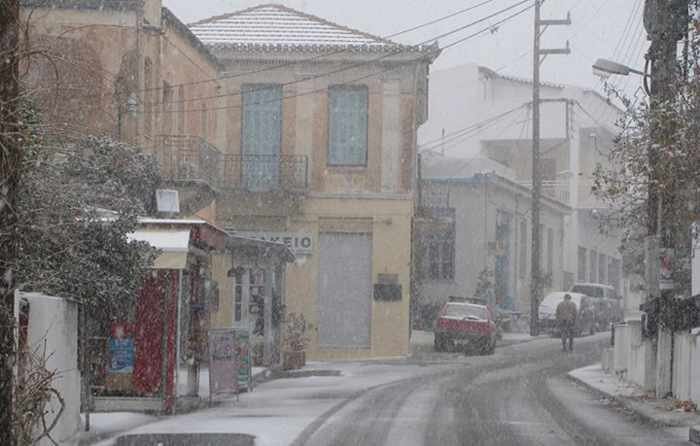 As I reported in my posts Wild winter weather wallops Greece and Snow scenes from the Cyclades, Greece got this year off to a stormy start with severe winter weather that started just before New Year’s Eve 2014 and carried into early January. There were More weather woes during the second week of February. 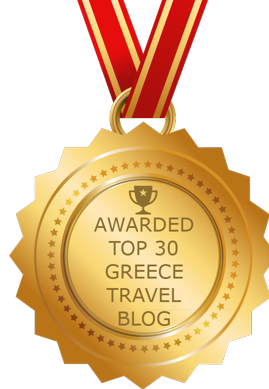 After that, the country experienced a roller coaster ride of ups and downs, with national elections, financial bailout negotiations, the ongoing refugee/migrant crisis and record tourist visits, to name just a few of the many events that put Greece in the international media spotlight throughout the year. Now, as 2015 comes to a stormy close, I’m anxious to see if the new year will bring better times. I’m keeping my fingers crossed that 2016 will indeed be a Happy New Year for Greece. Please click here or on the link at the bottom of this post to see more New Year’s Eve snow scenes from Greece on page 2 of this report. Nice snowy pics! Good post 😀 Yes, a happy 2016 for Greece….